The US Federal Communications Commission (FCC) acknowledged that its site went down on Monday after it was hit by multiple distributed denial of service (DDoS) attacks after TV anchor John Oliver blasted the agency on his show over its move to repeal net neutrality rules in the country. The timing here is crucial, as FCC Chairman Ajit Pai has already announced plans to reverse the principles currently in place, and the agency is set to vote on his proposal on May 18. 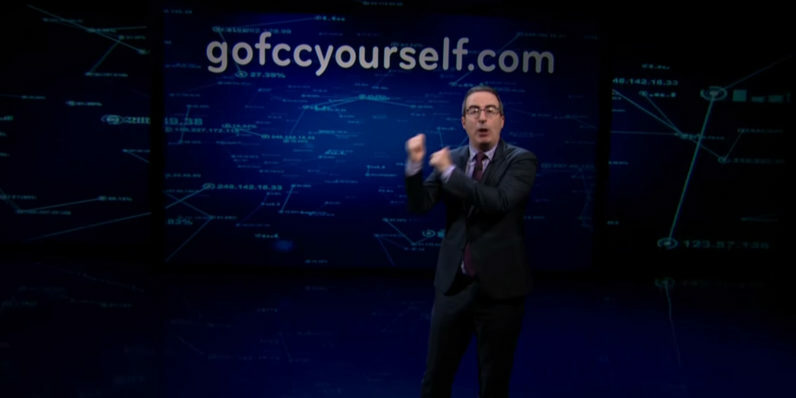 While the recent episode of HBO’s Last Week Tonight saw Oliver urge viewers to head to gofccyourself.com and express their opinions on the topic ahead of the vote, some folks seem to have misconstrued the message and attacked the FCC’s site. Thanks for your enthusiasm, guys, but sadly, you’ve gone and done us in a bit. You see, gofccyourself.com points to a page on the FCC’s site where you can fill out a form to share your comments on the net neutrality issue. Taking out the FCC site makes it impossible for people to express their opinion there, and may even slow the FCC’s process for vetting and counting the submissions. Thankfully, the attack only took the site down temporarily; it’s back up now, so you can go fill out that form if you haven’t already. That’d be far more effective in the fight to protect net neutrality than trying to send a message with a DDoS attack.